The field of geology is studded by many notable names that anyone would recognize in a heartbeat. One great name though that isn’t heard of very often is that of James Dwight Dana’s. During his life, he made massive contributions to the field of geology, mineralogy, volcanology, and zoology. He pioneered the study of mountain-building, the origin and structures of the continents and oceans, and volcanic activity. Indeed, he was a man that proved to be relentless in his desire to understand the earth. James Dwight Dana was born in Utica, New York, on February 12, 1813, the eldest of a family of ten children. His mother was Harriet Dwight and his father, James Dana worked as a merchant. Through his mother’s side of the family, he was related to the Dwight Family of New England who were missionaries and educators. His relatives included Henry Otis Dwight and Harrison Gray Otis Dwight. James Dwight showed an interest in science at a very young age and was fond of collecting and bringing home natural objects. His science interest was fostered by Fay Edgerton, one of his teachers in Utica high school who taught classes in chemistry, mineralogy, botany, and geology. He played a large role towards ensuring that young James developed his scientific interests. In 1830, James graduated from high school and enrolled in in Yale College where he studied under the elder Benjamin Silliman. James Dana graduated from Yale College three years later in 1833 and spent the next two years of his life working as a teacher of mathematics to midshipmen in the navy. He sailed to the Mediterranean while he was teaching and made scientific notes during his 16 month cruise. His notes in 1834 on the condition of the volcano Vesuvius were published in the American Journal of Science and this was his first scientific paper. In the years 1836 and 1837, Dana became an assistant to Benjamin Silliman who was a professor at Yale and headed the chemical department. Two years after his assistant post, Dana moved on to become a mineralogist and a geologist for the US Exploring Expedition which was headed by Capt. Charles Wilkins in 1838. He also acted as the zoologist from 1840 onwards, producing important reports on corals and crustacea. The expedition took him to the Pacific Ocean where he collected enough material to keep him occupied for the next 13 years of his life. The expedition finished in 1942 and Dana by then had notebooks filled with sketches, maps, diagrams, and a large fossil collection. In 1849, his sketch of Mounts Shasta, a volcano in California was engraved and published in the American Journal of Science an Arts- a publication spearheaded by Silliman in the early 1800s. The article detailed the rocks, minerals, and the geology of the Shasta region in California using scientific terms. The Journal also published a lengthy article based on Dana’s geological notes from 1841. 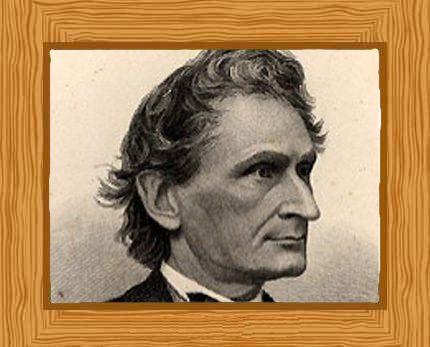 1844 was an exciting year for James Dwight Dana; not only did he become a resident of New Haven, Connecticut but it was also the year he married Henrietta Frances Silliman- the daughter of Benjamin Silliman. They had four children, two sons and two daughters. In 1850, he was appointed as the successor to his father-in-law and became a Silliman Professor of Natural History and Geology in Yale. Dana remained in this teaching post until he retired in 1890. He joined the American Journal of Science and Arts in 1846, becoming joint editor. During the later years of his life, he became chief editor and he was also a contributor publishing works on geology and mineralogy. His 1849 publication of Mount Shasta was in response to the gold rush in California. After all, he was the pre-eminent geologist in America during his life and he was one of the very few observers who had knowledge of the terrain in northern California. Dana wrote confirming that, given the geography and geology of the area, it was very likely that gold could be found in northern California. Dana was also responsible for giving the world information about the volcanic landscape and activity in Hawaii. In the years 1880 and 1881 he embarked on the first geological study of volcanoes in Hawaii and he theorized that the chain of volcanoes in the area consisted of two strands, known as the “loa” and the “kea” strands. Later in 1890, Dana travelled with C.E. Dutton, a fellow geologist, and published a manuscript that was the most detailed study of the island that anyone had seen at that time. For decades, his manuscript was the definitive source concerning Hawaii’s volcanoes. Dana was a prolific writer and some of his best works are “System of Mineralogy” (1837), “Manual of Geology” (1863), and “Manual of Mineralogy” (1848). He also wrote a very interesting manuscripts “Science and the Bible” which was an effort to reconcile science with some biblical texts. His works received much attention and were used in schools. He also received many awards including the Copley Medal in 1877 from the Royal Society, the Wollaston medal in 1874 from the Geological Society of London, and the Clarke medal in 1882 from the Royal Society of New South Wales. James Dwight Dana died on April 14, 1895 in New Haven, Connecticut aged 82. His son, Edward Salisbury Dana followed in his footsteps and was also a well-known and brilliant mineralogist (1849-1935).